Taylor, Fonseca and Croft declared a 2016 Vintage Port today in what was probably the worse kept secret in the business. Following months of speculation, and following a long tradition, the declaration was made on St Georges Day, the 23rd April, 2018. Taylor's head winemaker David Guimaraens gives us some background on the process behind declaring a vintage in an interview we recorded earlier this year at the Vancouver International Wine Festival. Similar news was announced at Fonseca and Croft. In the case of Fonseca, Managing Director Adrian Bridge says “The Fonseca 2016 has the finely constituted fruit which is a hallmark of the house style, with an attractive minerality. It is worth noting the quality of the tannins, one of the key attributes of the 2016 vintage. This was a year of low yields and this is reflected in the amount of vintage port offered”, while head winemaker David Guimaraens commented that, "The harvest of 2016 will be remembered as having started very late. Fonseca's Quinta do Cruzeiro started picking right at the end of September and Quinta do Santo António at the beginning of October. This was due to the late start to the ripening season and to the long and very even maturation of the crop. Balance is certainly one of the keynotes of the vintage". On the wine, he reports that "The gradual and even ripening of the crop has produced beautifully balanced Fonseca 2016 Vintage Port, with pure fruit, firm but well integrated tannins and an attractive freshness." Finally, regarding the declaration at Croft, Bridge says, "This is a classic Croft Vintage Port, wonderfully aromatic with a rich fruitiness and an exotic herbal character. However, it has the poise and sense of proportion characteristic of the 2106 vintage. A relatively small crop means that the amount of Vintage Port made was smaller than usual.” David Guimaraens relates that "In spite of the hot summer, the grapes matured slowly and evenly, producing perfectly balance musts. 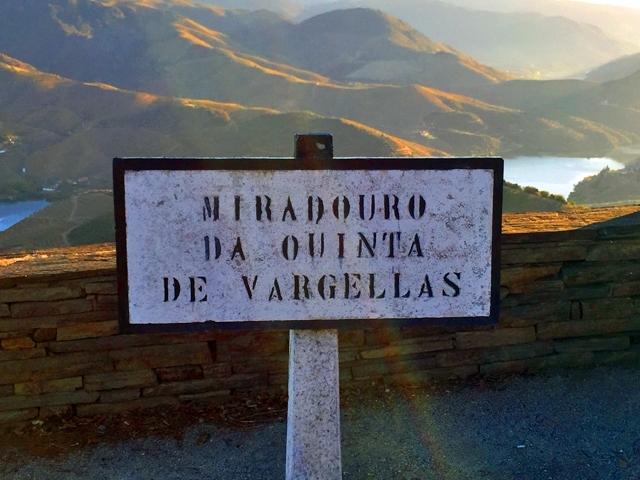 Picking started later than usual with most estates, including Croft’s Quinta da Roêda, starting their harvests in the second half of September. Notes taken at the harvest mention the fine fruit aromas of the musts and the pronounced tannins. The Croft 2016 is very much in style, displaying opulent fruit and a resiny herbal dimension contributed by the old vineyard at Quinta da Roêda. At the same time, it has the purity and balance which are key characteristics of the year."